Copy of Would you like to add a credit card reader? 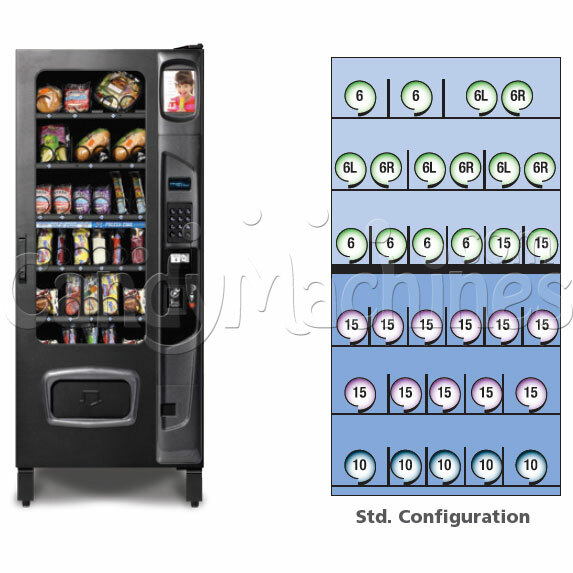 Free shipping - Our Multi-zone Vending Machine is ideal for vending cold and frozen snacks in one sleek machine. This machine features heated glass which eliminates condensation or frost and LED lighting making it energy efficient as well. It can hold up to 320 items, offering 28 different selections. The programmable display that delivers a scrolling message makes this machine user friendly, giving customers a great experience. 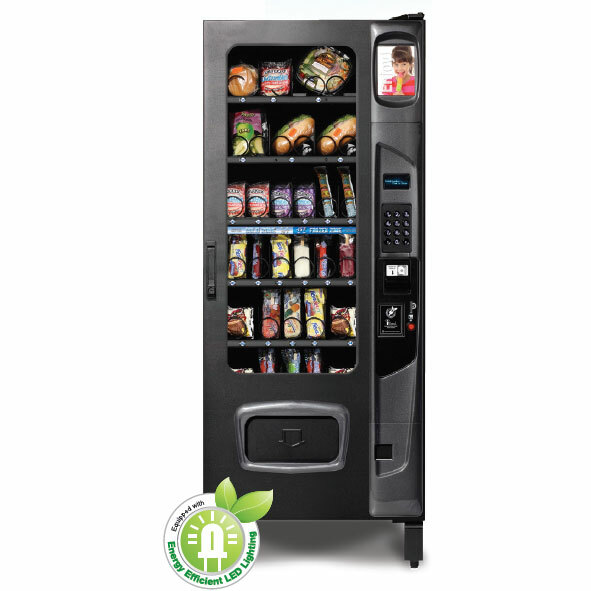 Built in the USA, this refrigerated and frozen food vending machine is a proven performer for dispensing a wide variety refrigerated and frozen meals, sandwiches, wraps, deserts and even slack frozen items. 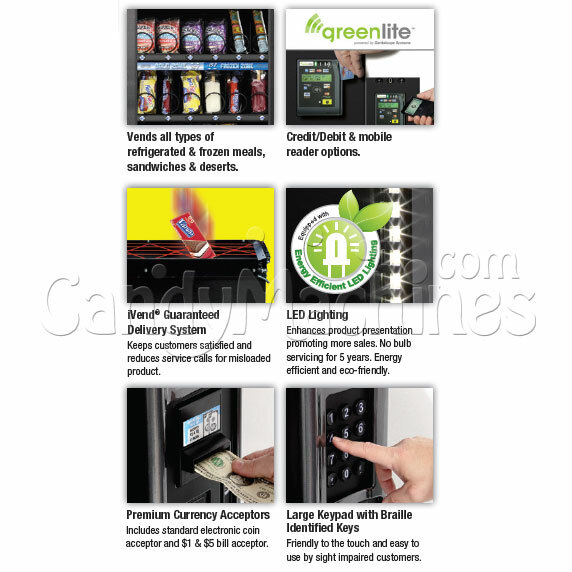 Equipped with the latest in electronic controls, premium coin changer and bill acceptor as well as our money back vend sensing technology this vendor is a great choice for serving your locations.